A blissfully uneventful trip to Heathrow. Virgin Atlantic was living up to the reputation – mostly. I think it was fortunate that T & J had a full snack at the Virgin lounge before the flight. The food was still eyebrow raising (steak & mushroom pie, resembled nothing you can imagine) but generally it was a smooth transfer. The young traveler had chosen not to sleep on the plane until the the very end – about 10mins before landing, so of course I was kissing him awake at the gate. 14 miles of walking, and a bus haul on, haul off later, landed us at Hertz rent a car to pick up the Volvo we had booked. To my surprise Jack drives up in a R300 Mercedes. Not sure if that was a score (jury is out on that) but certainly a touch more luxury than we had expected. It came with a navigation system, and I’m starting to get good at these, so I actually managed to program it with directions to Stonehenge within 30mins, unfortunately that wasn’t before a detour had sent us off in the wrong direction – definitely the closest to Hampton Court that I’ve come. Trent was sound asleep again and missed all the signs to Legoland, Windsor Castle, etc. 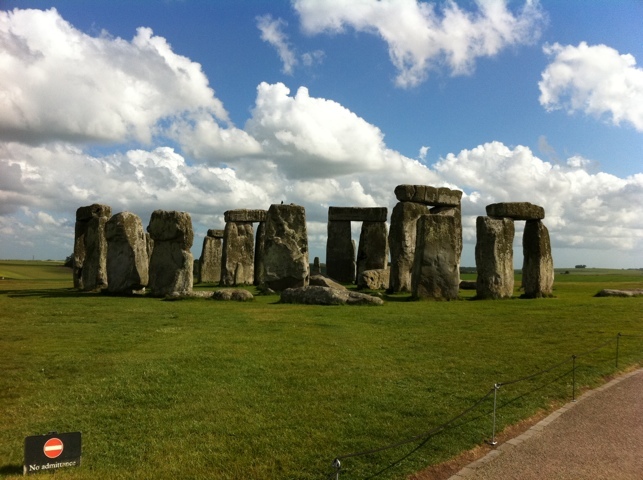 He was still asleep when we made it to Stonehenge, but I did my best to wake him up and he begrudging tottered after me, extra growly. With about 5 mins viewing in the wind and cold. Onwards to Bath. The Nav system managed to take us through downtown Bath at rush hour delaying the process, and then didn’t actually find the hotel, but between googlemaps and the hotel directions we detoured quickly and managed to find it. I chose the Bath Priory as it was a small hotel in our price range. We were greeted warmly and our bags whisked away to our room. I love the UK & European (although not all countries) practice of trust. No need for a credit check or ID swipe when you arrive. You simply are checked in by showing up for your reservation. We were shown to the Tulip room, a lovely room in yellow, with a small sitting area, desk, dining table and a comfortable bed at the end of the house overlooking the garden. A towel turned into an elephant and a games book and colored pencils greeted our young guest. Note: there is a nursery school a few doors up – and the sound of children playing can be heard during the day. We tried out room service for dinner as we needed something to eat without the hassle of getting dressed to go downstairs for dinner. T & I ate our toasted sandwiches in PJs while watching the British version of Wipeout. Jack ordered a lovely bottle of Burgundy which lulled us into sleep, and I managed to sleep through the night beating jetlag for the 1st time in while. 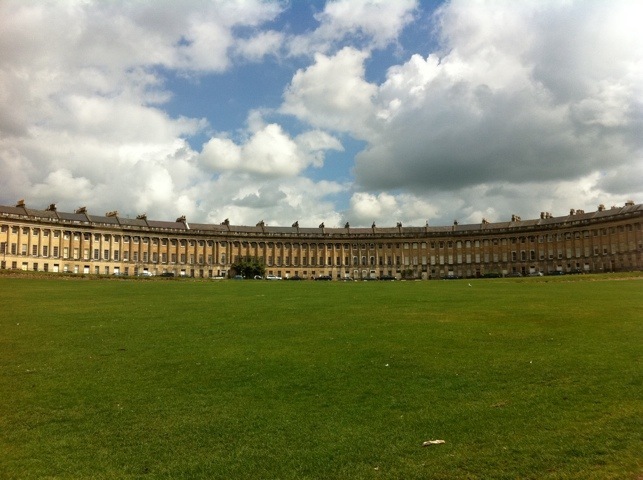 Off to adventure… We headed out into Bath, finding the Royal Crescent and a parking spot – but alas we had no coins to get a parking pass so we headed deeper into the town. We found a newsstand and a parking spot on Gay Street, just south of the circus and headed for the Fashion Museum/Assembly rooms. 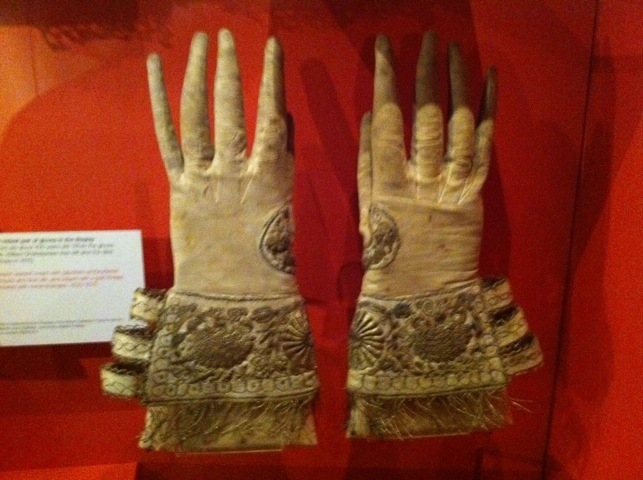 A quick visit (I was fascinated, the boys, not so much), we noted the oldest dress in the collection (17th C), the oldest gloves William Shakespeare’s time, Queen Victoria’s black dress and the oldest white wedding dress (from 1828). 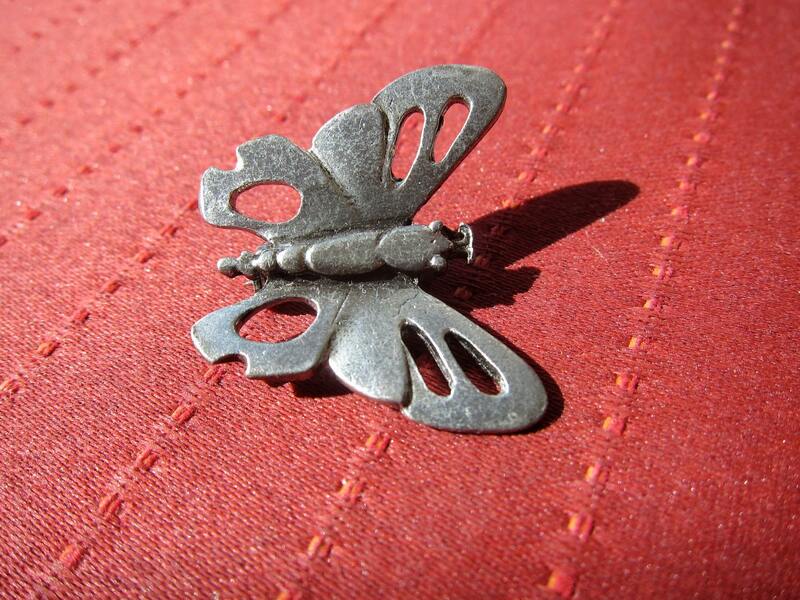 I was taken with the parasol collection. We also breezed through their more modern fashion display seeing some evolution of fashion in general and then their special Helmut Lang exhibit. We went in search of Liz Cox (the bath bag maker) but her store was closed, so we headed for Indian Food for lunch, finding that the restaurant of our memory was not the right one, but had a pleasant lunch at Bengal Brasserie anyways. T spotted ThreeAs Martin robot figures on the way back. So he and I stopped in while Jack headed to the car as our parking time was running out. Lovely parking ticket on our car saddened the mood, as somehow we had managed to get a 1hr not a 2hr parking voucher, but we brushed it off and headed for the Roman Baths. 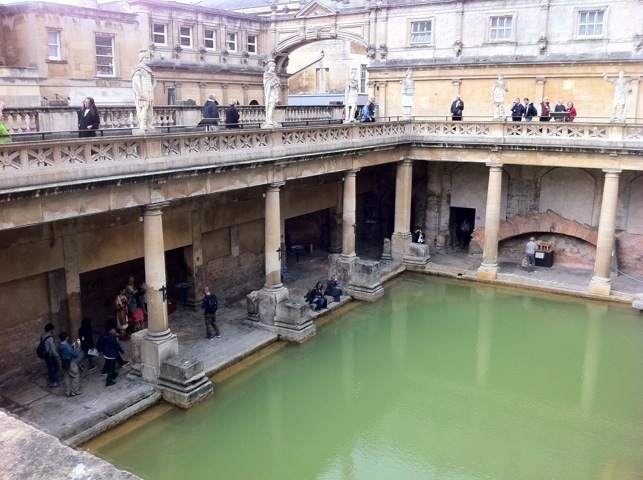 Roman Baths were not enrapturing but gave us an insight into the origins of Bath. Memorable highlights were the Gorgon and the cooling bath. The piles of tiles to raise the (no longer existing) floating floor were an interesting concept. We managed a bit of shopping and scored a sim chip for the ipad in town before heading back to the car. Dinner was off the cuff, and Jack chose a restaurant at the Queensbury Hotel called the Olive Branch. The chef is lively and the dishes were surprisingly delicious. Care is obviously taken both in the kitchen and upfront where the owner keeps charge. The children’s menu was a first for us, offering some real food choices and (drum roll please) offering any menu item at 1/2 charge. The child’s menu plate was elaborately garnished like ours were. A lovely dining experience. Tomorrow’s adventures: A Circle, A Maze & Some Famous Arches. < Previous Cumbria (The Lake District), Northumberland & Bath, Oh My!